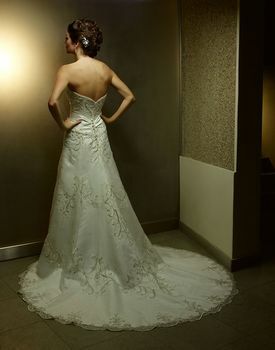 Regal A-line dress has a sweetheart neckline and chapel length train. 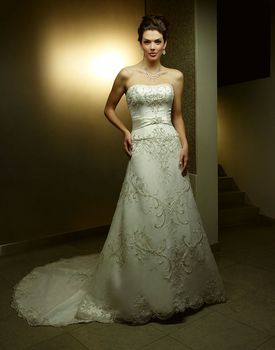 Elaborate large beaded swirl motifs decorate the bodice, entire skirt and hemline of this dress. Tone-on-tone sash at the natural waist and brooch-like beadwork at center give a finishing touch to this elegant creation.